Blog | When Did You Repair Locks Last? Did you check the door locks lately? You won't know whether there is a serious problem with your locks unless you inspect their condition occasionally. Do you lock and unlock every single lock at your house every single day? If not, how do you know that they work and secure your place properly? 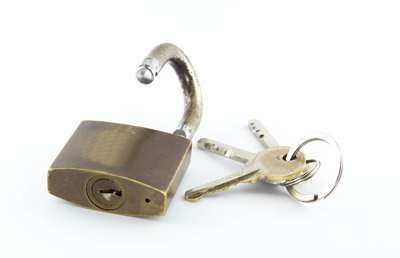 How will you know if you need lock repair, change the keys or take drastic action to reinforce security! These are far from trivial matters! Anything concerning the security of you property should be your first and only concern or all other efforts will be overturned by a single invasion. Most definitely, not all problems are fixable. Sometimes, you will have to proceed with lock replacement, invest in better locks, get additional theft deterrent and security systems or even change the keys, if they are stolen. Though, some problems have simple solutions. When the strike plate is loose, make sure the screws are tighten and get longer ones if they are short. Don't disregard the importance of having a tightened door knob either. 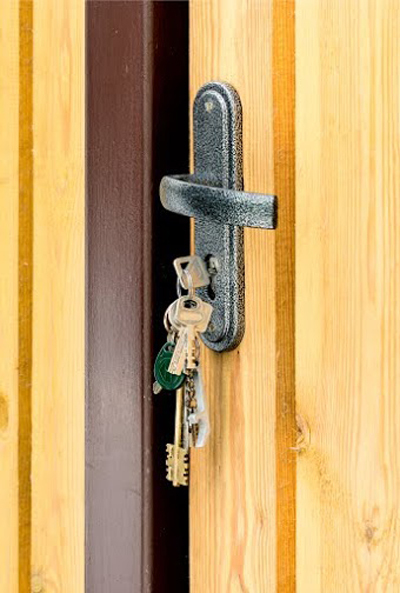 The entire door lockset must be firm and if it's worn, it must be replaced. When you insert the key but the cylinder turns, it means that the setscrews holding it tight are either broken or loose. In the case of the latter, they will just need tightening; in the case of the former, they will need replacement. If the latch doesn't lock, it means that it either doesn't extend fully and needs replacement or cannot find the hole in the strike plate. In this case, the strike plate must be aligned. If you fail to check the locks, the smallest problem will make your life difficult. You will have a house lockout or you won't be able to secure the door. In both cases, your security will be compromised. Do you know how many problems external conditions can cause? You won't be able to put the key in the lock when the locks are dirty or frozen by low temperatures. The key may also break and key replacement won't be your only problem since you must extract the original one and you will end up locked outside.